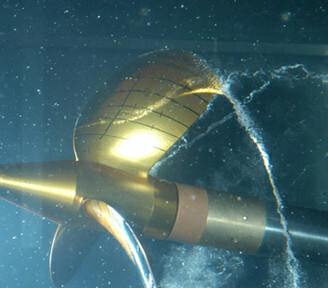 We have also developed next-generation propellers that use lightweight carbon-fibre composite materials. In 2014, we succeeded in installing propellers with blades made of CFRP (carbon fibre reinforced plastics) on commercial ships for the world's first time. Nakashima Propeller continues to explore new generation propellers that allow higher efficiency and reduction of vibration. Since density of CFRP, which is a new material, is 1.5 g/cm3 and approximately 1/5 of CAC703, the CFRP propeller has small moment of inertia and can reduce the weight of the shaft system. High static strength and fatigue strength are also great advantages of CFRP. CFRP components also exploit their flexibility to reduce cavitation and engine overloads. 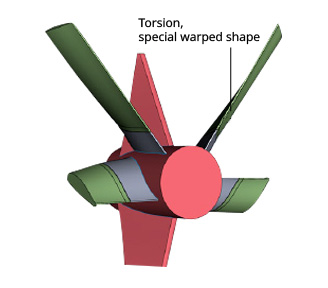 In addition, propeller excitation force can be reduced by the material's weight, and the vibration can be reduced by the high damping of the material itself. CFRP is also easy to repair and maintain. 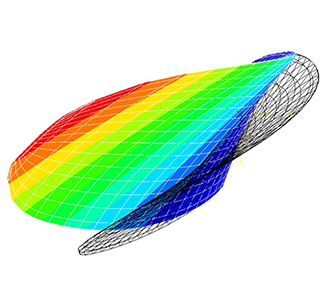 CFRP (Carbon fibre reinforced plastics) propellers are characterised with decreasing pitches as loads increase. Therefore, in the event of sudden load fluctuations due to rough sea or acceleration, the shape of the blade deforms so that the overload on the engine can be suppressed. 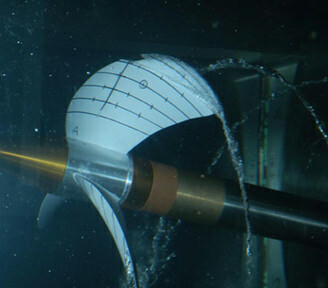 As a result, we have achieved quietness as much as 3 dB, compared to our conventional metal propellers. 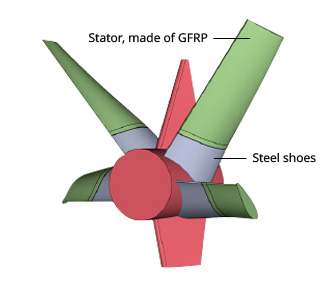 CFRP propellers deform under load, which suppresses cavitation, thereby reducing vibrations at stern of the ships. CFRP moulding technology is used not only for propellers but also for energy-saving devices. Energy-saving devices must be streamlined with minimal irregularities to reliably achieve the desired fluid effects. They must also be thin in shape to reduce resistance. So we adopted the CFRP and GFRP (Glass fibre reinforced plastics) to the energy-saving devices. Those have strength higher than the usual steel metal, and the free shape can be formed. It becomes possible to produce that the complicated shape which designers intended. 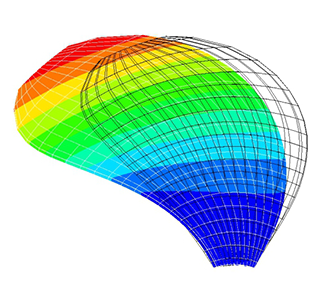 This additive enables us to produce even very complex shapes intended by designers. More performance improvement of the energy-saving devices can be achieved. Copyright © 2018 NAKASHIMA PROPELLER Co., Ltd.